Once biodiverse and multicolored, the reefs in Búzios Island—part of the municipality of Ilhabela, Sao Paulo State, also located at the Southeast—are now covered with orange stripes. In some places, no bare rock or other species of coral can be seen. "The reefs around Búzios Island are in an irreparable condition," said Marcelo Kitahara, a professor in the Marine Science Department of the Federal University of São Paulo (DCMAR-UNIFESP) in Santos, Brazil. Kitahara heads a project supported by the Sao Paulo Research Foundation—FAPESP to study the phylogenomics of two species and the links between their evolution and climate change. A study showing the surprising capacity of sun coral to regenerate had its results published in the Journal of Experimental Marine Biology and Ecology. The lead author is Ph.D. student Bruna Louise Pereira Luz, a biologist affiliated with the Federal University of Paraná (UFPR) and currently in Australia studying sun coral at James Cook University, Townsville, near the Great Barrier Reef, under supervision of Kitahara. 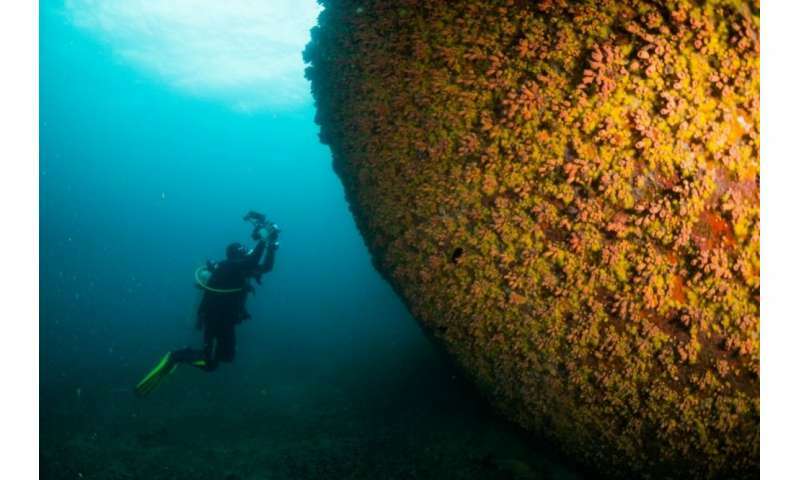 "Sun coral colonies multiply at a great speed in areas such as these. We set out to understand how and why," said Kitahara. On one of the findings—only made possible through a lab-conducted experiment—they also revealed that sun coral regeneration process gets faster as water temperature increases. They reference that the sun corals don't need algae; then they test and research everything else but that factor. Without dependence on the temperature vulnerable symbiont and without the native coral's knife edge balanced immune system accepting the algae until it gets warm: Its not surprising the sun coral does so much better. Functional genetics comparisons of native and sun species would produce more enlightening results applicable around the world.